Plenty of intriguing and eye-catching winners this afternoon, and it's hard to keep it to three. Firstly, Rathhill cruised to victory in the Equine Productions Maiden Hurdle at Newbury this afternoon, on first start for Champion Trainer Nicky Henderson. Runner-up in point on sole start in November, and the investment seems to have paid off. He tracked the leaders, and was travelling well before 3 out. He went 2nd last at the last, and quickened to lead up the run-in to win comfortably. Robbie Power made the trip to Newbury a worthwhile one, when winning the day's feature: the Listed Thoroughbred Breeders Association Mares' Chase aboard Magic Of Light. 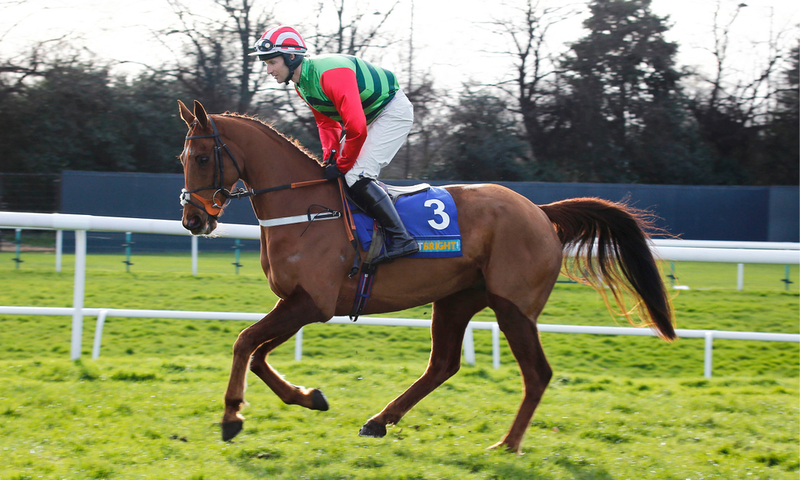 A useful and in-form mare, was third in a big field at Navan on her reappearance. This was also Jessica Harrington's first runner at the track since Spirit Leader, who won the Tote Gold Trophy back in 2003. Raced keenly, she tracked the leading trio. Began challenge on the crown of the bend, and led when travelling well from 3 out. Won in the end very easily indeed, with the front-runner Drinks Interval fading back into second. Entitle matched some of the ability of her half sister this afternoon, when landing the EBF/Ladbrokes Home Of The Odds Boost Novice Stakes in tremendous style. Enable's close relative was well beaten on debut at Newmarket over seven, and the step up to a mile along with better racecourse experience, really appeared to suit. Having dwelt early on, she made headway on the outer to track leader over 5f out. She led 2f out, was ridden and hard pressed over a furlong to go, but ran on strongest of all and prevailed.